Stakeholders in the nation’s insurance and pension industry will on Thursday in Lagos discuss critical issues that will enable both sectors achieve their potential in the countries financial services market. 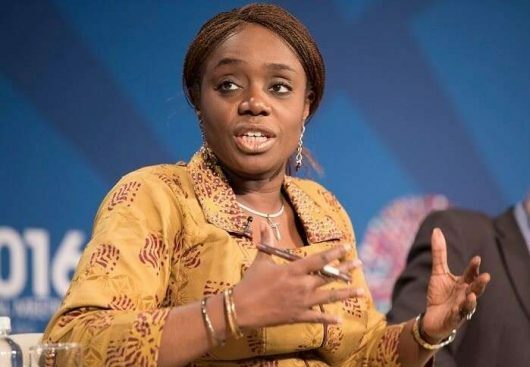 Leading the discussion will be the Minister of Finance, Kemi Adeosun at the third Edition of the National Association of Insurance and Pension Correspondents (NAIPCO) Annual Conference billed to hold on Thursday 9th August 2018, at Oriental Hotels, Victoria Island, with the theme “The Role of Stakeholders in Developing Insurance and Pension Sectors”. The event to be chaired by Alhaji Bala Zakariya’u, past president, Chartered Insurance Institute of Nigeria (CIIN) will have as special dignitaries the Acting Director General of the National Pension Commission, Mrs. Aisha Dahir-Umar, and the Commissioner for Insurance, Alhaji Mohammed Kari. The NAIPCO event also brings together, consumers and other stakeholders of the two industries to discuss issues, challenges and the way forward for economic growth and prosperity. Sub-themes for deliberation at the conference include, ‘Making Insurance Attractive to Nigerians; Exploring the Micro Pension Concept and Creating Pension & Insurance Awareness; Increasing Insurance Contribution to GDP; as well as the Role of the Media. A statement from NAIPCO, says the event will provide journalists veritable opportunity to get feedback from the two industries as regards the roles of the ‘fourth estate of the realm’ in developing the sectors. The theme and the sub-themes have been carefully selected to reflect the current industry trends, with erudite speakers from both sectors and the academia also carefully selected, NAIPCO said in a statement issued weekend.